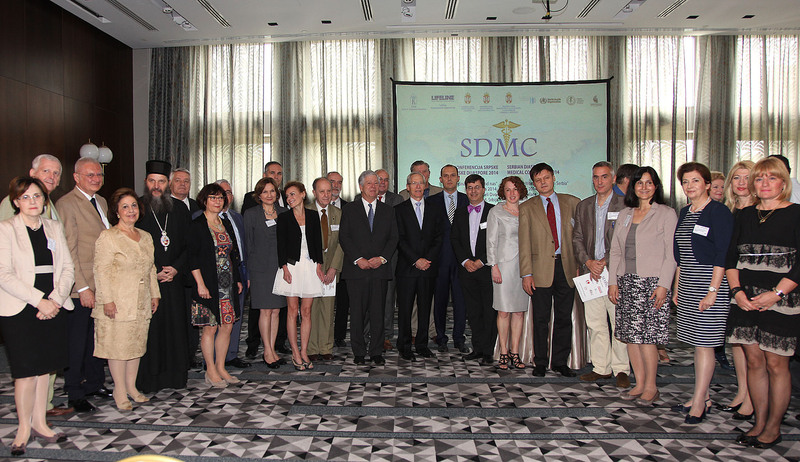 Their Royal Highnesses Crown Prince Alexander II and Crown Princess Katherine and Dr. Angeliki Endrjuz Margariti, daughter in law of the Royal Couple attended opening of the SDMC officially opened the Fifth “Serbian Medical Diaspora Conference 2014” today at Hotel Metropol Palace in Belgrade. The official opening was attended by HE Dr. Zlatibor Loncar, Minister of Health of Serbia, His Grace Bishop Andrej of Switzerland and Austria, Mr. Aleksandar Vlajkovic from the Government Office of cooperation with Diaspora and Serbs in the region, Prof. Dr. Nebojsa Lalic, Dean of the Medical Faculty, University of Belgrade, HE Mr Michael Kirby, Ambassador of the United States of America, HE Ms Julia Feeney, Ambassador of Australia, HE Mr Roman Waschuk, Ambassador of Canada, as well as representatives of the World Health Organization, Serbian Medical Society, Royal Medical Board, Lifeline United States Medical Board, Lifeline Canada Medical Board, lecturers and participants from Serbia and abroad. 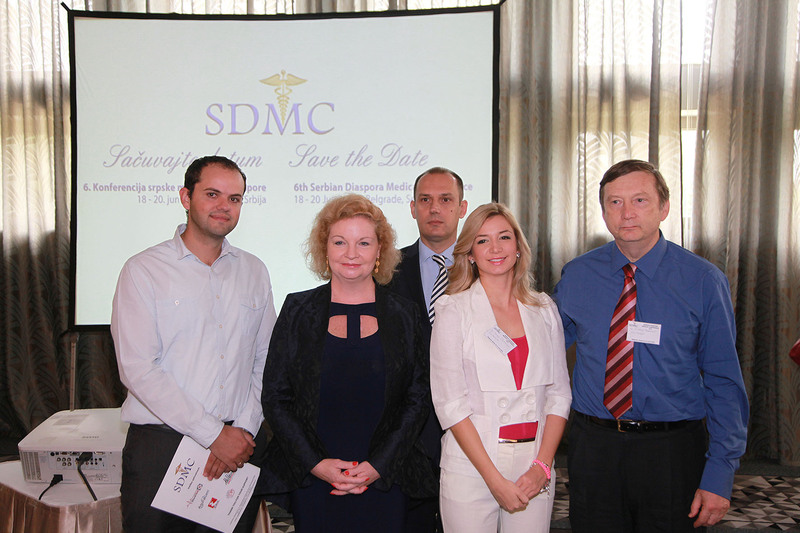 The Fifth “Serbian Medical Diaspora Conference 2014 – Medicine Worldwide and in Serbia” is taking place from June 19 to June 21 in Belgrade, under auspices of Their Royal Highnesses Crown Prince Alexander II and Crown Princess Katherine, and is organized by HRH Crown Princess Katherine Foundation and Lifeline Humanitarian Organizations, with support from the Ministry of Health of Serbia, Ministry of Foreign Affairs of Serbia, Office for Cooperation with the Diaspora and Serbs in the region of the Government of Serbia, Medical Faculty of Belgrade University, University Children Hospital in Belgrade, Serbian Medical Association and World Health Organization (WHO). 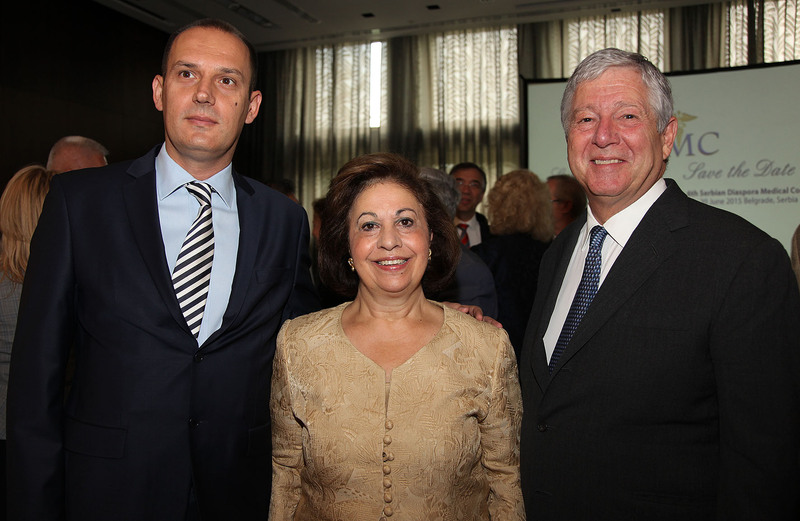 HRH Crown Princess Katherine welcomed the guests and emphasized: “We, who are present here, should make a contribution to make the health care system in Serbia better, more effective and more accessible to all our citizens. This collaborative effort will bring a better future for our country. This country needs you, as well as your knowledge, and our people thank you for your willingness to help. Serbia has a successful tradition in medical science. We have great quality doctors. The importance of international cooperation and continuous training is crucial. 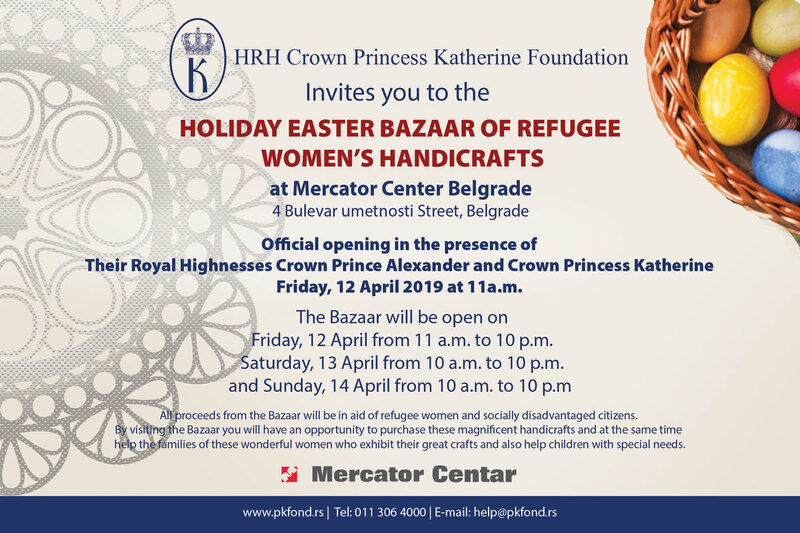 I would like to thank our partners: His Excellency the Minister of Health Dr Zatibor Loncar, the Ministry of Foreign Affairs, the Office for the Diaspora, Medical Faculties in Belgrade and Novi Sad, Serbian Medical Association, the World Health Organization (WHO)”, said Crown Princess Katherine. 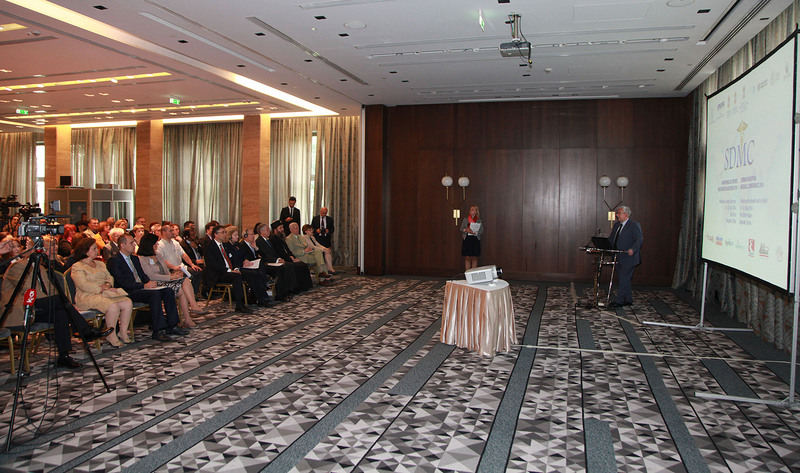 Prof. Dr. Ida Jovanovic, on behalf of the Royal Medical Board and Dr. Snezana Babovic on behalf of Serbian doctors working abroad also addressed the Conference. 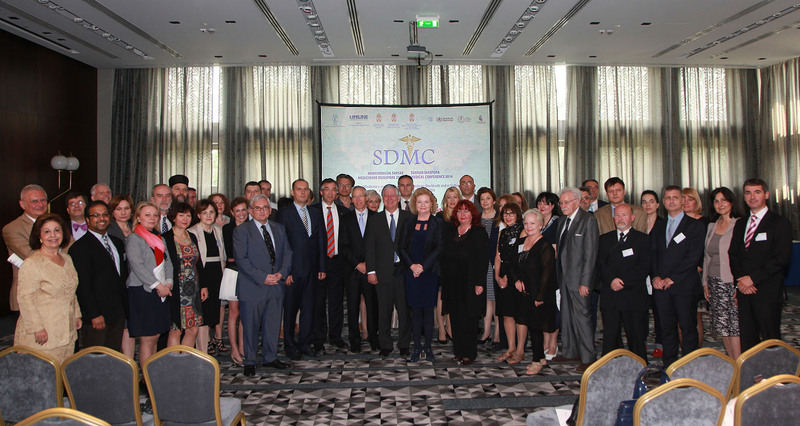 The Fifth “Serbian Medical Diaspora Conference 2014 – Medicine Worldwide and in Serbia” is covering a wide area of medical sciences, including Medical Genetics, Women’s Health and Breast pathology, Geriatrics and Psychiatry. Lecturers and moderators are the most prominent medical experts from Serbia and abroad. 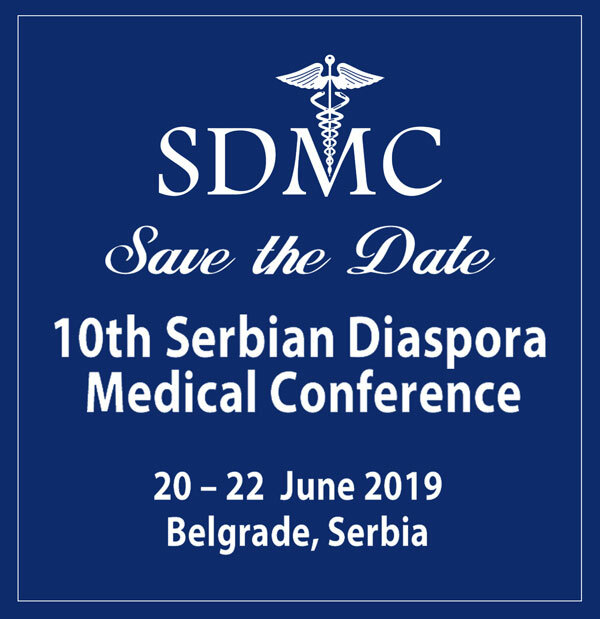 The aim of the conference is to improve cooperation between doctors in Serbia and doctors of Serbian origin working abroad, with institutions and individuals who are essentially important for the quality of medical care in Serbia, as well as networking among Serbian intellectual values in the field of health with the Serbian academic society abroad, as well as with prominent foreign experts in the field of medicine. 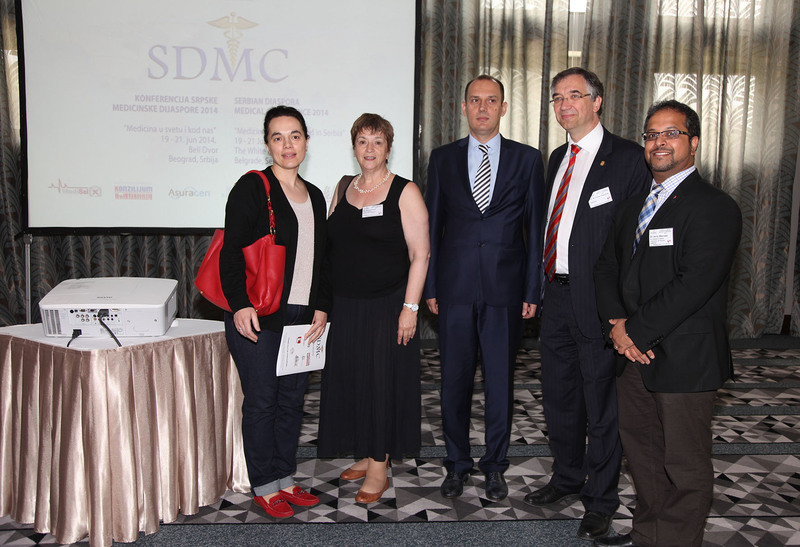 Please note the Sixth Serbian Medical Diaspora conference will be held in Belgrade June 18 – June 20, 2015.